Running since 1991. The only institute in Ahmedabad, Gujarat. Teaching more than 80 courses with well structured syllabus. In-depth industry level learning with Live industrial Project help to find Jobs. Knowledge only helps u to get the job in IT field. Reasonable Fees Structure compare to other so called leading computer training institute. Slightly Different. Live Training ( Face-to-Face Training ). We don't prefer Video Training. Preferable for those who live outside a'bad. Student, who are planning to ignite their career in Mobile & Web application development. Genius Computer is started By Mr. Yogesh Nalawade [ M.C.A. ] in 1991 and handed over to Mr. Mahesh L. Nalawade [ M.C.A., M.B.A.(IT), Doeacc 'A' level, MCP, SCJP ] in 1995. 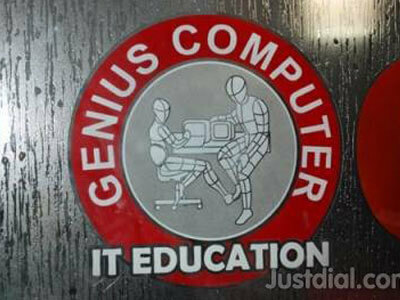 Genius computer is very prestigious institute in Ahmedabad and known for it’s quality computer education. We had faculties with good knowledge and experience. Our Faculties are highly qualified they have degree like MCA, BE (IT), MSc.IT. We provide computer education from basic to advance courses. We educate almost 22,000 Students since 1991 and about 3,000 students are complete their course every year. We always maintain and improve quality of teaching. If u want to successful as an IT Professional, in-depth knowledge is required. We also provide Placement to our students without charging any extra cost. Some of our students are owner of IT company they always prefers our students for placement. We provide training for core java, advance java, php, dot net, android, iphone, software testing, seo, web designing, graphic designing, Tally ERP 9, Ms-Office, Wordpress, Magento, php frameworks etc with reasonable fees structure. For provide Placement to our students we design special website, which provides details of our students for Co.'s searching for Candidate as well as Details of Co.'s for Student's who wants placement without charging any cost. "Genius give me a big breakthrough in my career.I learned------ from Genius Computer and currently have my own software company. Thanks to Genius for guiding me all along. " Subhash Bridge : 24, Astha Complex, Above SBI, Opp. R.T.O. Mobile : 091-9998305399. Vastrapur : 26, Satyam Mall, Nr. Saman Complex, On Keshav baug Road, Prem-chand nagar road. Mobile : 091-9998304985.